March has been a busy month as far as public lands are concerned and not all of the news has been good. A few major events have happened (or will be happening in a couple of days) related to US public lands this month and in this post I plan to touch briefly on all of them. The take-home message is this: the current Congress is not doing enough to ensure the long-term protection of wildlands in the United States and instead is attempting to make it harder for the President to circumvent Congress to protect natural areas. 1. The Kind-of-Good News: Congress Designated New Wilderness! The bad part… this was the first time a new wilderness area had been designated in 5 yrs! Congratulations, that is a new record between wilderness designations. 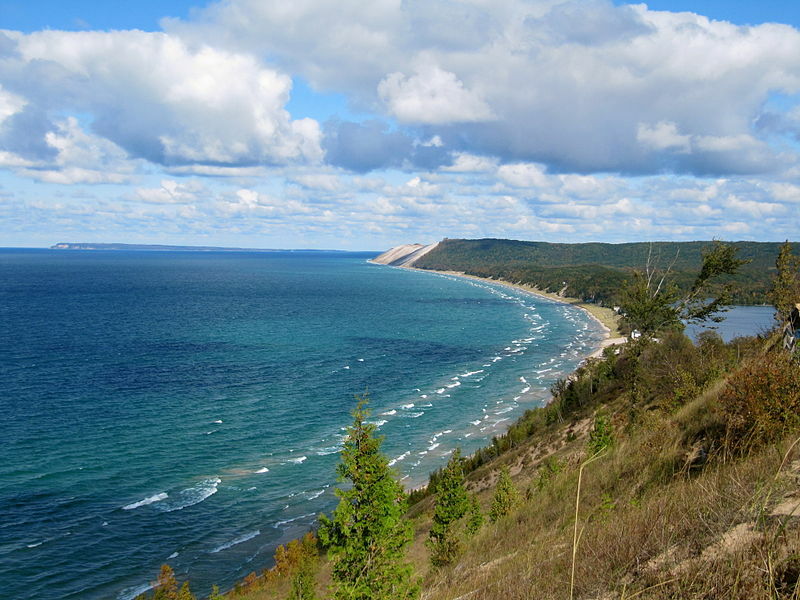 On March 4th, the House voted unanimously to approve a bill (which passed through the Senate last June) that designated about 33,000 acres of Sleeping Bear Dunes National Lakeshore as federally protected wilderness. Wilderness areas receive the highest level of protection of all federal lands in the system. So now the impressive dunes and bluffs that run along the coast of Michigan’s Lower Peninsula have received the next level of protection. Given that this year is the 50th Anniversary of the Wilderness Act, I really hope that Congress does not wait another 5 years before designating another wilderness area. 2. The Real Good News: President Obama used the Antiquities Act for the 10th time to create a new National Monument! On March 11th, with just a few signatures, President Obama turned 1,665 acres of the California coast into a National Monument. The Point Arena-Stornetta Public Lands Unit is BLM land adjacent to the California Coastal National Monument that was established by President Bill Clinton. Obama’s use of the Antiquities Act, which allows him to bypass Congress to federally designate public lands, extends the California Coastal National Monument by 12 miles. According to the BLM’s website, the Point Arena-Stornetta Public Lands Unit is important habitat for many threatened and endangered species including the Point Arena mountain beaver, the western snowy plover, Behren’s silverspot butterfly, and California red-legged frog. The gateway community of Point Arena is hopeful that the new designation will increase tourism in the area. 3. The Bad News: Members of Congress are not pleased with Obama’s Use of the Antiquities Act. Someone who is especially upset is Rep. Rob Bishop who also happens to be from my lovely home state of Utah. Rep. Bishop has submitted a bill, which will be discussed in the House tomorrow and voted on Wednesday, called H.R. 1459. This bill attempts to limit the power of the Antiquities Act (you can read some of my previous posts about Presidential use of the Antiquities Act here, here, here, and here). Specifically, if passed, the bill will prevent the President from establishing more than one National Monument per state during their 4 year term. Additionally, new National Monuments which are less than 5,000 acres in size would be subject to Congressional approval after three years. Finally, the new bill would require the establishment of new National Monuments to be subject to the National Environmental Policy Act (NEPA) process; essentially a lengthy review process examining economic, environmental, and social impacts that requires a public scoping phase. Now, in general I am a fan of the NEPA process but I do not approve of a reduction in power of the Antiquities Act. 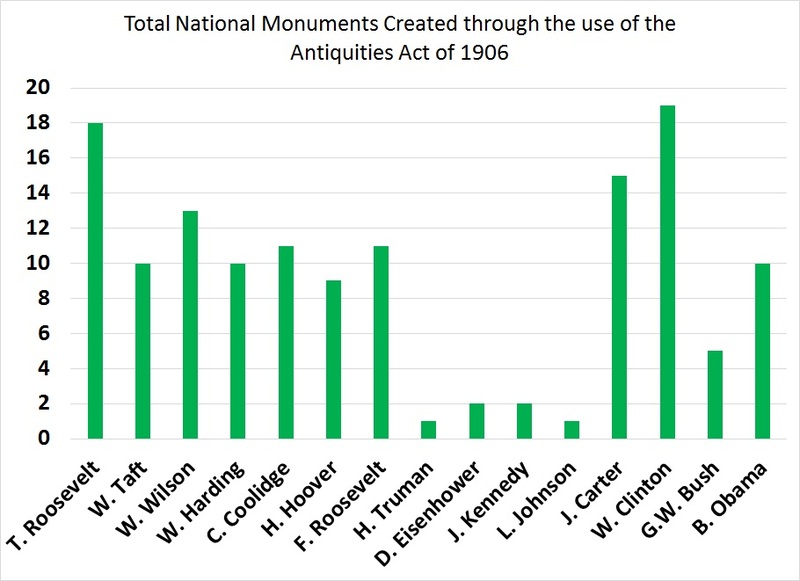 The Antiquities Act has already been reduced in power twice in it’s almost 100 year existence. Congress has the power to establish National Monuments on its own but the current congress has an extremely poor track record as far as protecting wildlands are concerned. Dozens of bills have been stalled in Congress, many with public support, that could further protect many natural areas across the United States. As such, the Antiquities Act is especially powerful in a political climate where Congress fails to act towards conserving lands. Many news outlets believe that Rep. Rob Bishop’s bill is in direct response to the establishment of the Point Area-Stornetta National Monument and the fact that President Obama has expressed interest in establishing another National Monument in New Mexico. Currently President Obama has only used the Antiquities Act to establish 10 new National Monuments many of which were smaller in area and of historical or cultural significance. If you agree that Congress should not limit the President’s power to establish National Monuments through the Antiquities Act you can write/call/email your representative and tell them to vote “no” on H.R. 1459. You can also sign and send a letter drafted by The Wilderness Society. This entry was posted in National Parks and tagged Antiquities Act, H.R. 1459, Point Arena-Stornetta National Monument, President Obama, Sleeping Bear Dunes National Lakeshore. Bookmark the permalink.